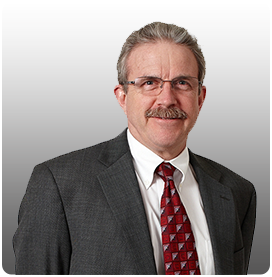 George Wailes represents individuals and business owners in a wide range of disputes, including estate and trust, corporate, partnership, intellectual property (trade secrets and copyright), employment (including ERISA), insolvency and creditors’ rights, and real estate. George represents individuals and business owners in a wide range of disputes, including corporate, partnership, intellectual property (trade secrets and copyright), employment (including ERISA), insolvency and creditors’ rights, and real estate. George represents private fiduciaries, trustees, beneficiaries, and third parties in trust disputes. George has represented multiemployer trust funds, employers, and beneficiaries in disputes involving the Employer Income Security Act of 1974 (ERISA) for more than 30 years. George mediates and arbitrates disputes. He serves as a mediator and early neutral evaluator for the United States District Court for the Northern District of California.